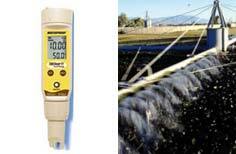 RS Hydro provide a wide range of Pocket Testers that are highly accurate solutions for water analysis. These testers all feature IP67 Waterproof housing, user replaceable sensors and Valox durable plastic casing to ensure a quick, stable accurate result. Our Pocket Tester range also has the advantage of reduced operating costs enabling the testers to be used time and time again. pH measurement has never been easier due to our latest pHTestr series. The pHTestr's offer double junction electrodes making them ideal for dirty water soltuions with heavy metals or contaminants. They are uniquely designed to last longer with easy to use features. Our ORP Pocket Testers have been designed with advanced microprocessor technology to give you up to +2 mV of accuracy. It uses double junctions senors with a wide platinum band providing precise, fast results even in wet and rugged environments. Pocket tester cabable of measuring a wider conductivity range from pure water to waste water with a supporting full scale accuracy of +1 %. They include upto 3 conductivity ranges and are housed in rugged, waterproof IP67 standards. A tester which is so light, it floats! The latest in TDS pocket testers combine the ranges of three testers, allowing TDS measurements over a broad range, from pure water to waster water. This series of testers comes with simultaneous temperature display and auto ranging options as well as other benchmark features such as adjustable TDS factor, reduced operating costs due to replaceable sensor and +1% full scale accuracy. The latest in salt pocket testers comes with temperature display in Celcius and Fahrenheit for easy reference whilst testing. It's IP67 casing assures optimal performance even in the harshest field conditions from aquaculture to food production applications. Our salt testers are easy to use due to manual calibration, automatic temperature and fast user replaceable sensor. Its design advancements mean this tester can be used over and over again. It is now so easy to get mulit-parameter measurements on-the-go. 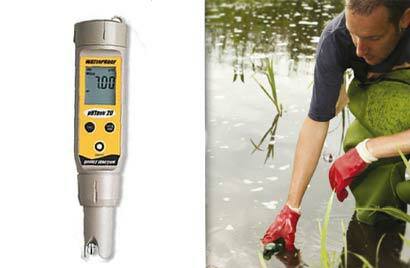 Our series of testers allow measurments of pH, conductivity, TDS, salinity and temperature all in one compact device. They are not only made to fit your pocket but also been made to fit your budget. 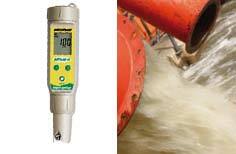 It includes pure, medium and high conductivity/TDS ranges which allows to measure pure water. 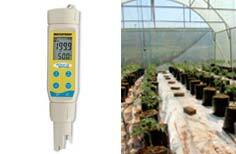 Not only this but it also achieves upto 5 point pH calibration and 3 point conductivity calibrations.